After actively participating a few different churches throughout the area, Pastor Justin and his wife Ashleigh began to meet with a small group of like-minded believers as a home group. This shortly transitioned into a regularly scheduled church service. Soon after, Pastor Justin was licensed to preach by Calvary Christian Church of Royal Oak, and was recognized by the pastors and board of elders as having a call to preach the gospel of the kingdom of God. Pastor Justin's heart is to see the community in northern Montana set on fire for God. He and his wife, Ashleigh, believe in faith that God is willing and able to spread revival, and their hope is to be a part of whatever the Lord chooses for them and the local body of Calvary Christian Church. 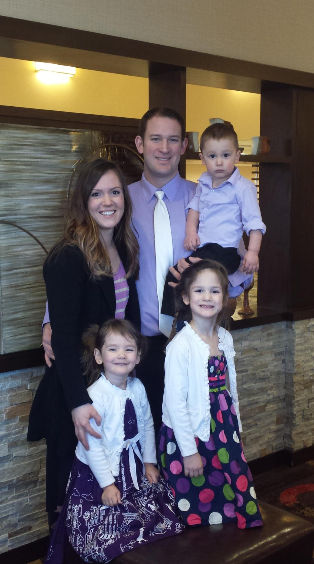 Pastor Justin and Ashleigh have 3 children: Justice, Grace, and Samuel.